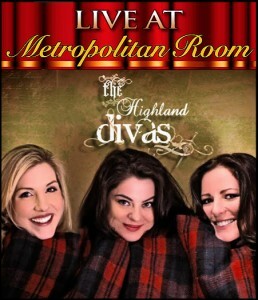 Georgia, Margaret, and Marla are The Highland Divas: three women from different parts of the world, with diverse musical backgrounds and a common heritage. These uniquely talented artists will take you on a musical journey that spans the folk music of Ireland, Scotland, and New Zealand, and culminates in the soaring heights of Rock Opera. It is a journey from the most achingly spare Celtic ballads, to the most thrilling, harmonized interpretations of popular and classical music.